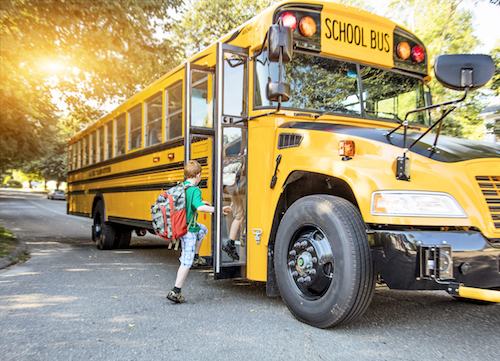 The Freedom From Religion Foundation is commending a Wisconsin school district for turning off a Christian broadcasting station on a school bus. Early in spring, FFRF sent a letter to the Stevens Point Area Public School District due to concerns over a bus driver who was incessantly playing devotional Christian music on a bus taking students to P.J. Jacobs Junior High School. "The Stevens Point Area Public School District must ensure that religious broadcasts are not being played to students utilizing district transportation," wrote FFRF Legal Fellow Ryan D. Jayne. "Public school bus drivers are agents of the school district and are subject to the same constitutional restrictions as other district staff, including the Establishment Clause of the First Amendment." This means that religious messages — such as Christian music — may not be promoted by district employees because it equates to an impermissible school sponsorship of a specific religion. Moreover, this kind of broadcasting alienates non-Christian students and families. Nearly 30 percent of Americans are non-Christians, either practicing a minority religion or no religion at all, including almost 45 percent of Millennials. After highlighting this constitutional misstep, Jayne requested that the district inform its bus drivers that religious programming may not be played while students are present. The school district responded earlier this week with a brief, but laudable, response: "The practice has ceased." "A captive audience of public school children should never be forcibly exposed to programming of an evangelizing nature," says FFRF Co-President Annie Laurie Gaylor. "The school district was right to end this disturbing practice." The Freedom From Religion Foundation is a Wisconsin-based national nonprofit organization with more than 29,000 members and chapters across the country, including more than 1,400 members in Wisconsin and the Kenosha Racine Atheists & Freethinkers chapter. It's purpose is to protect the constitutional principle of separation between state and church.